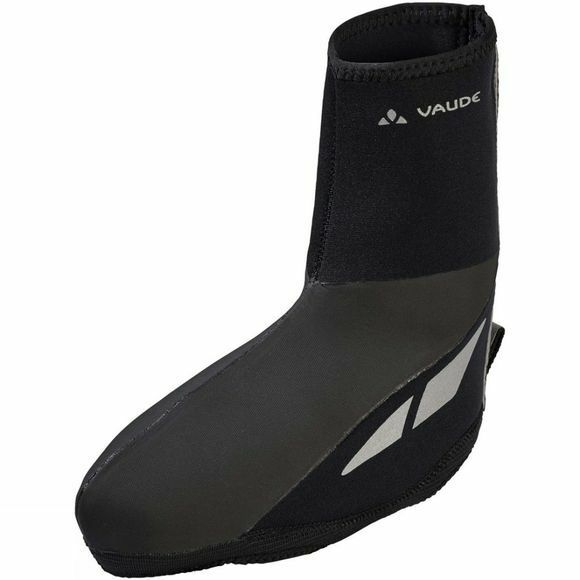 The Shoecover III Chronos Overshoe from Vaude is a sporty neoprene overshoe that is ideal for transition seasons and cold winter days. The neoprene material is ecologically manufactured in accordance with the strict environmental bluesign standard and with taped seams for best waterproof protection. The neoprene material is wind resistant and offers best thermal insulation. The upper material of the overshoe has a dirt resistant coating. The large-toothed zip can be easily handled even when wearing gloves. The Vaude Green Shape label stands for environmentally friendly, functional products made from sustainable materials.